New title from Newtownards-based Colourpoint Books launches tomorrow, Thursday 21 April at 12:30. To coincide with the 40th birthday of Central Station later this month, the launch will take place on the station's concourse. The launch will be attended by the publisher, the author, and Translink's Chief Operating Officer, Philip O’Neill, as well as other key staff. The railway system that makes up Northern Ireland Railways was formed in 1967 and remains open to this day despite threats of closure and the devastating effects of the ‘Troubles’. This new book records its history through the eyes of the author, an NIR employee for 40 years. With interesting stories and much first-hand detail, this volume recounts the frequent dark days on this small network. On many occasions throughout the ‘Troubles’ there was disruption to train services; buildings and infrastructure were targeted; rolling stock destroyed; and passengers and staff were killed and injured. However, railway staff, including the author himself, had a determination to keep services running, many putting their lives at risk in the process. On the brighter side, and through all adversity, Belfast Central Railway was re-opened; the Cross-Harbour Rail Link was constructed; railway routes and stations were re-opened; relaying of track continued; new stations were built; and new generations of trains were brought onto the railway. Documented in detail, and featuring a comprehensive and unique timeline of incidents during the ‘Troubles’, this record of NIR is illustrated with many images from the author’s own personal collection. This Thursday, 14 April, Harbinder Birdi, Head of Infrastructure at Hawkins\Brown architects will be discussing the practice’s approach to integrating major infrastructure projects into our cities. 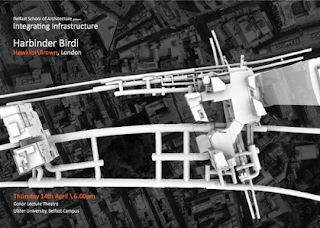 Examples will include three of the central section Crossrail stations, a new station bridge in Croydon and the proposals for Heathrow City, which explores the transformation of Heathrow's existing infrastructure from an international aviation hub to being redeveloped to house the communities in outer London. Harbinder Birdi is a senior Partner at Hawkins\Brown, an award-winning architectural practice that has a reputation as one of the leading design practices in the UK. He is the Principle Architect delivering the designs of Tottenham Court Road, Bond Street and Liverpool Street station, three of the central section Crossrail stations and has collaborated extensively with both engineering and contractor led multidisciplinary teams, delivering projects utilising 3D modelling software to aid both the design and construction of these projects. Harbinder is an external critic at Schools of Architecture and lectures in both professional practice and multi-disciplinary design. He is also a previous winner of ’40 under 40’, a prestigious design award recognizing the best young architects under 40. 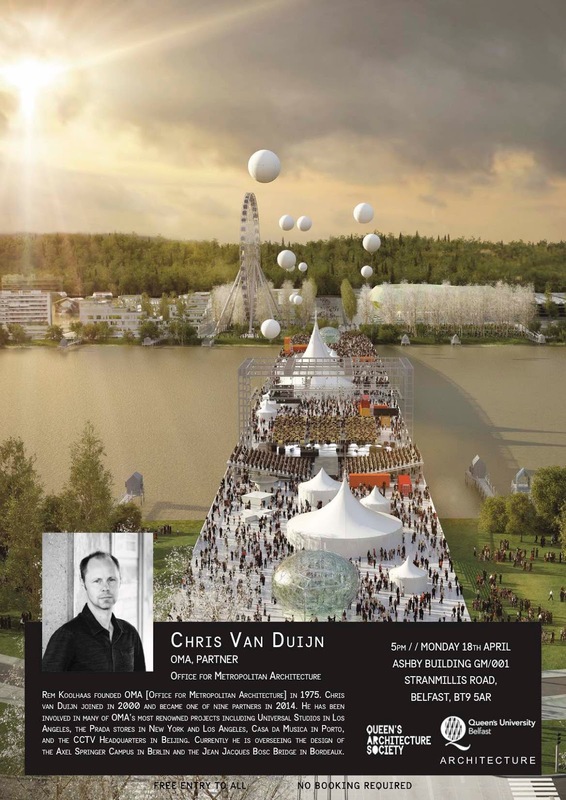 QUB Architecture and QUB Architecture Society are delighted to invite you to a lecture by Chris van Duijn. 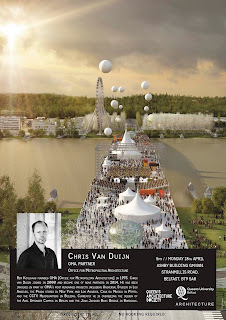 Chris is one of the nine partners of OMA, a leading international architectural practice founded by Rem Koolhaas in 1975 in Rotherdam, The Netherlands. The talk is open to all and free of charge. For some time now, it has been well understood that the often complex variables impacting upon the design of the workplace (buildings, work patterns, technology, workforce & inter-generational expectations, etc.) can and should be managed if the public sector is to occupy 21st C. office space that is fit for purpose. Understanding this takes us beyond simplistic real estate metrics and into a procurement process that is much more holistic, analytical and responsive. In partnership with the Strategic Investment Board, Belfast School of Architecture is offering this free, one-day symposium, hosted at Ulster University. It will look at key design, procurement and implementation issues underpinning ‘smart working’ in the UK government sector and some of the challenges they present in the design of our buildings and cities. We're delighted to be hosting this beautiful exhibition of work emerging from the Masters of Architecture studio in UCD exploring Landscape and Infrastructure around Lough Foyle and the Foyle river valley.